Hi everyone! I have a super fun giveaway for you today! 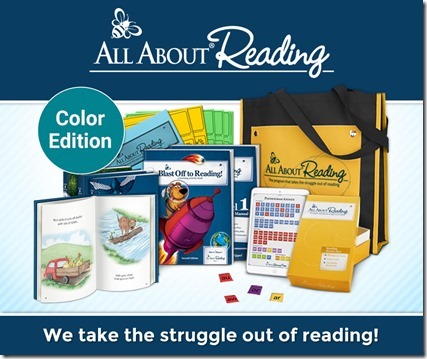 As you know, we loved the All About Learning Press All About Reading program, and they’ve just released their AAR versions in COLOR! These books were some of my kids favorite all time stories. 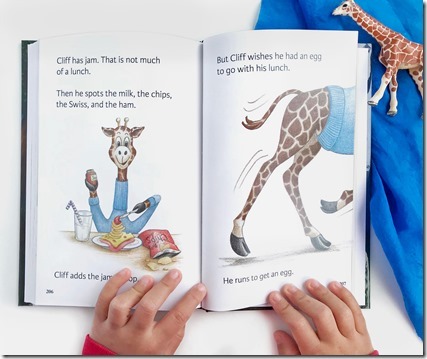 They are fun and engaging, and my kids loved to read through them, and I never got complaints when it was time for reading. I’m so excited to see that they have released this fun new full color version. Their stories were wonderful before, but I love the addition of color to the illustrations! For our reading lessons, the kids also really enjoyed the fun hands-on activity book. The lessons involve cutting, pasting, coloring, etc. And they really liked to play all of the games that are included too. 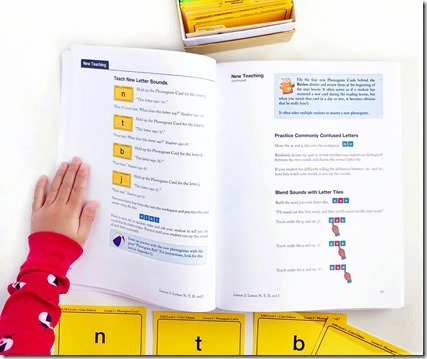 The program also has guided hands-on lessons and activities for you to go through with your student to practice phonics sounds, and improve reading fluency. I don’t know what it is about the AAR story books, but my kids loved them all! 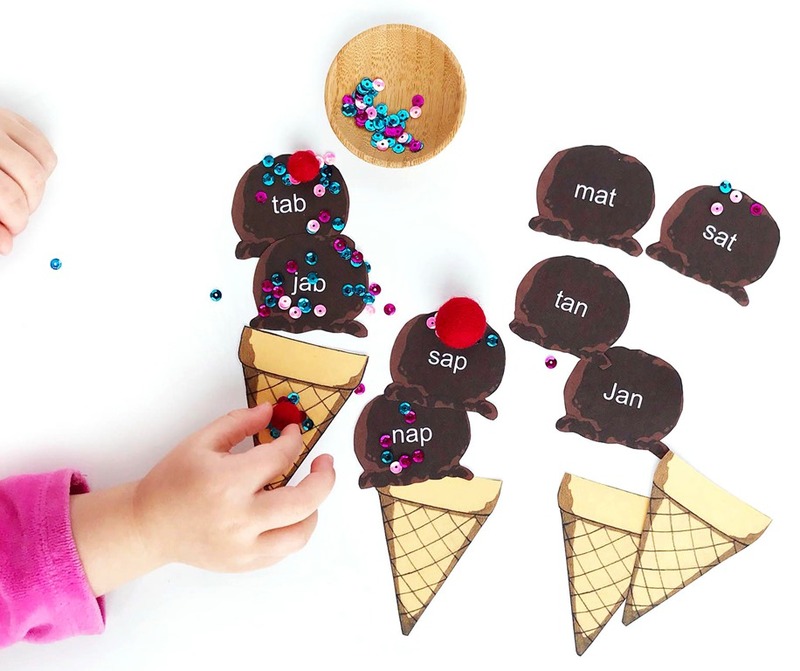 They loved to read these books just for fun so that makes reading time a breeze! 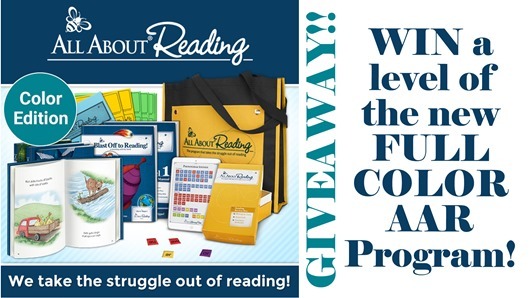 I’m giving away one level of your choice for the new All About Reading Color Version! Enter to win below! Hi Erica! for some reason I can’t enter your giveaway! Was it only for the 27th? I just saw it today, the 28th. I love the looks of the All about reading! I can’t seem to enter the give away. Love to enter for the AAR giveaway! We tried AAR Level 2 for my daughter first year homeschool and we loved it! The Color edition looks amazing for Level 3. My youngest will be starting soon she will need Level 1 and we would love it if we could enter. Hopefully leaving a comment will work since the other entry way is not working. Thank you for having a wonderful site with great references you have been a great help. I love AAR and AAS! This is my my first time homeschooling my 3rd grader. All about Reading has really helped my son who struggles with reading due to his autism and ADHD. He loves the books but asks why they are not in color! Well now they are. That is awesome! Thanks for giving us an chance for a giveaway! Hi! Can all about reading be used without all about spelling? Do you think it would be ok to do AAR and spelling you see? We used Level 1 and loved it, but the color option looks so wonderful! 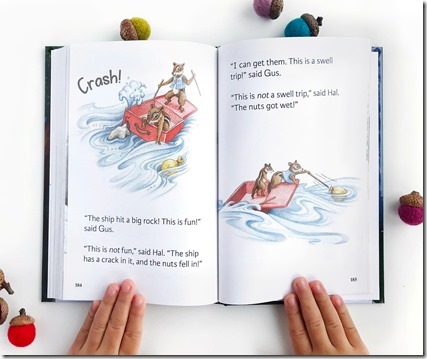 My main issue with it was with the quality of the book pages—but the kids liked the stories. You can absolutely use AAR on its own. We used AAR by itself, and then followed with AAS. I entered. So excited!!! Looking for different things to do with my daughter as we have just started homeschooling and it is the best thing I have ever done. I left teaching in the public schools to do this and don’t regret it one bit! Thank you for the opportunity to be a part of your giveaway. New homeschooling mom trying to enter! Im not finding a place to enter the giveaway. Is it still available?